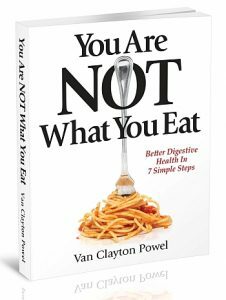 It doesn’t matter if you’re an Olympic athlete eating the latest greatest superfoods, or a bed-ridden hospital patient on a bland diet – if your digestion isn’t working properly, you’re in big trouble. And unfortunately, research indicates many of us aren’t digesting very well. Click here: YouAreNOTWhatYouEat.com for your FREE sample and more info. Full testimonials and endorsements by a range of prominent health care professionals here. *New edition coming soon with foreword by Dr. Michael D. Gershon, one of the world’s preeminent neurogastroenterologists and author of the ground-breaking book The Second Brain.